So should I stay home so I'll be there when they come? 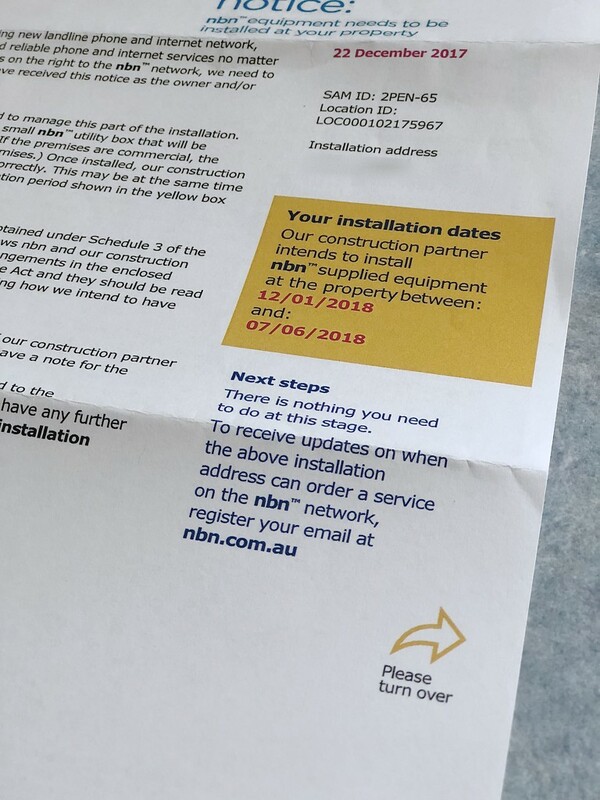 Apparently, we might get NBN some time in 2019. If we're lucky. From what I've heard/read, I don't think I'm in a massive hurry for it anyway. We have had NBN for a year now and not had any problems. @onewing that’s the first positive thing I’ve heard about it.